At AV Sierra Dental Center everyone you encounter is 100 percent dedicated to creating and maintaining your healthy, beautiful smile through meticulous, uncompromising, state-of-the-art dentistry in our safe, comfortable office. Our mission at AV Sierra Dental is to provide friendly, compassionate, high quality dental care that makes you smile. 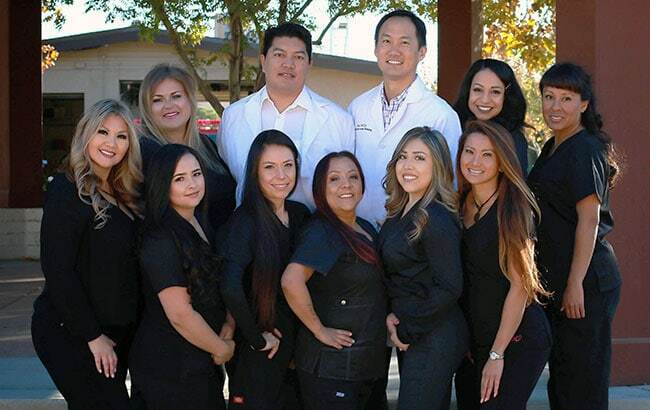 At AV Sierra Dental Center, we provide the Palmdale community with comprehensive dental care and leading-edge general, restorative, cosmetic, implant, and orthodontic treatments. Our team is dedicated to building trust-based relationships and delivering first-class dentistry, and we always make sure our patients enjoy a customer service experience that leaves them feeling genuinely valued and “in the know” about their care. As our patient, we have created a comfortable atmosphere in our modern facility that will allow you to relax and enjoy your experience with us. As a patient at AV Sierra Dental Center, we make getting to know you personally and earning your confidence a priority, and we want you to enjoy your visits to our office as much as you enjoy the beautiful results. We look forward to helping you achieve the smile you’ve always wanted and the confidence that you deserve.